Viewed from space, Earth stands apart in our solar system with its vast expanses of water; in these aerial satellite views, the water is shown in its infinite variety. 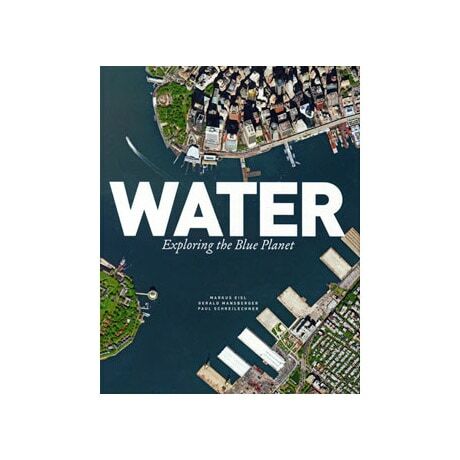 Captured in more than 125 sumptuous color photographs—including two-page spreads up to 18 × 11½ inches—here are views of London, crowded against the Thames; luminous blue waves around the Great Barrier Reef; a ferry cutting a path through Baltic ice; an oil well setting ablaze the waters of the Gulf of Mexico; and Dubai's Palm Islands, shining golden against a lustrous green sea. The essays here include discussions of how mankind has both mastered and misused this life-giving element, and how we can preserve it for the future.